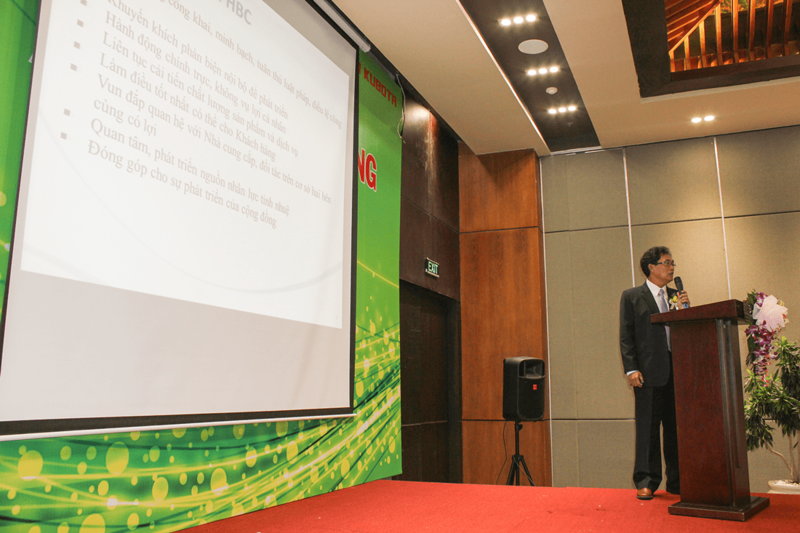 Co-hosted the conference were Mr. 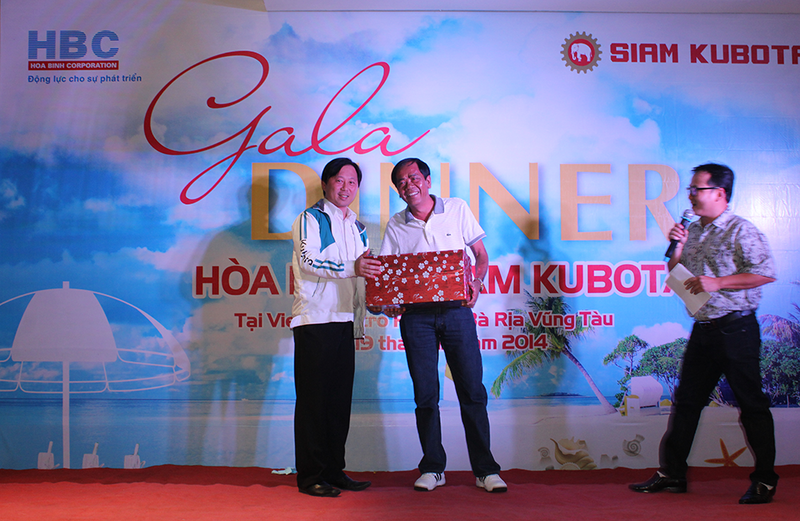 Le Quang Canh- Chairman and General Director of HBC and Mr Punna Wongtanasirikul, Director – Export at Siam Kubota. 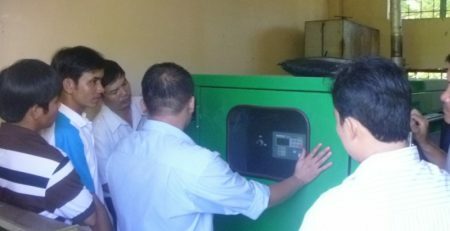 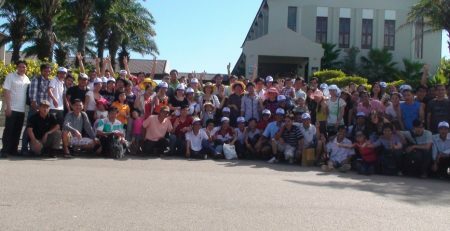 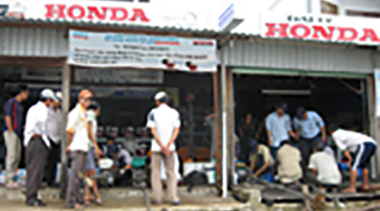 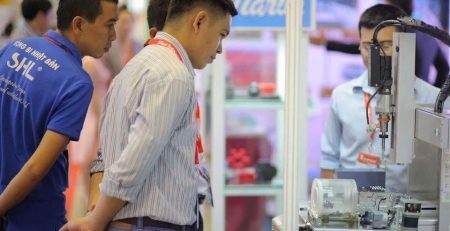 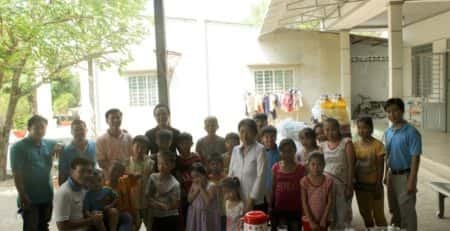 Participants to the conference were representatives of dealers from the Mekong Delta and the Highland in HBC’s distribution network for Kubota RT engine. 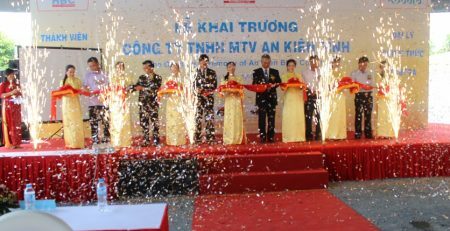 The conference was held to promote the partnership between HBC, SKC and all the dealers providing Kubota RT engines to the Vietnamese market. 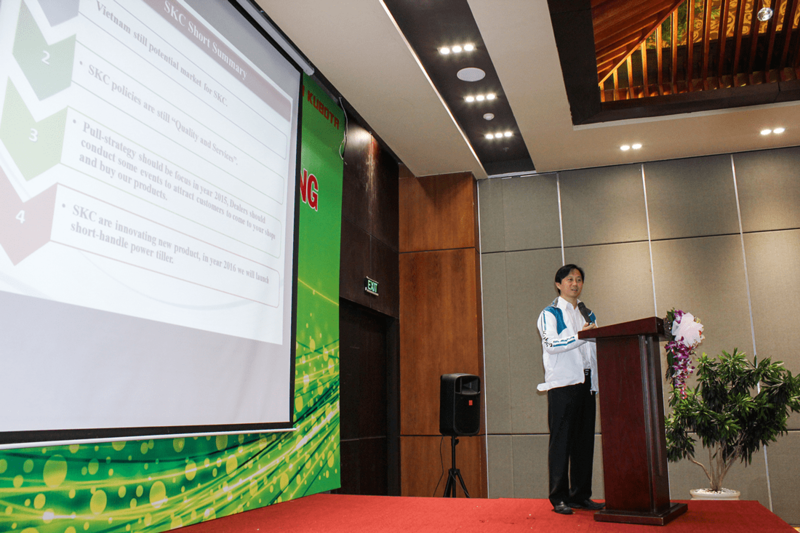 The business result for 2014 was reviewed and new sales support policies was presented by HBC and SKC. 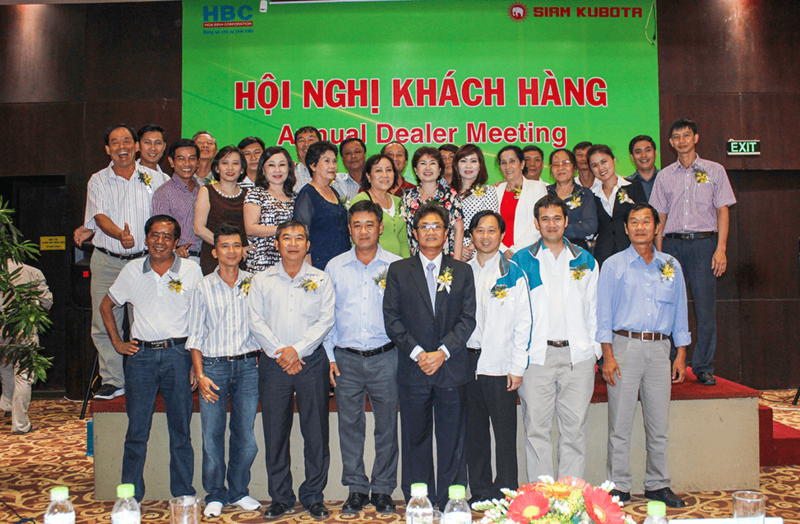 The management at HBC and SKC shared with the dealers their perspective for the new year of challenges and opportunities. 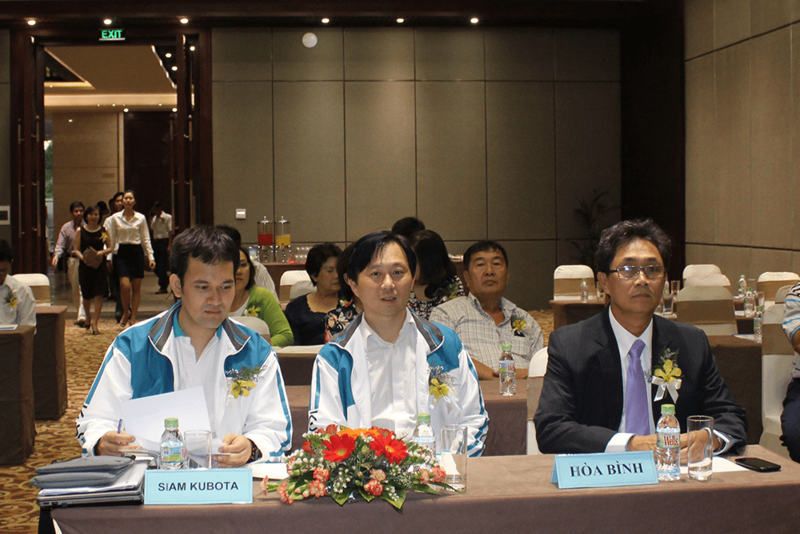 A detailed sales support plan for Kubota products in 2015 was clearly presented making the participating dealers all excited for the new year. 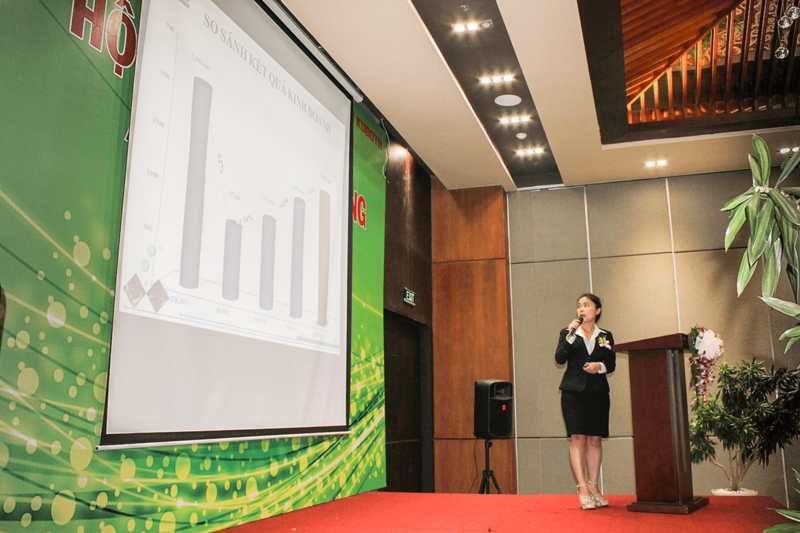 The sale revenue for 2015 is expected an increase of 21% over that of 2014. 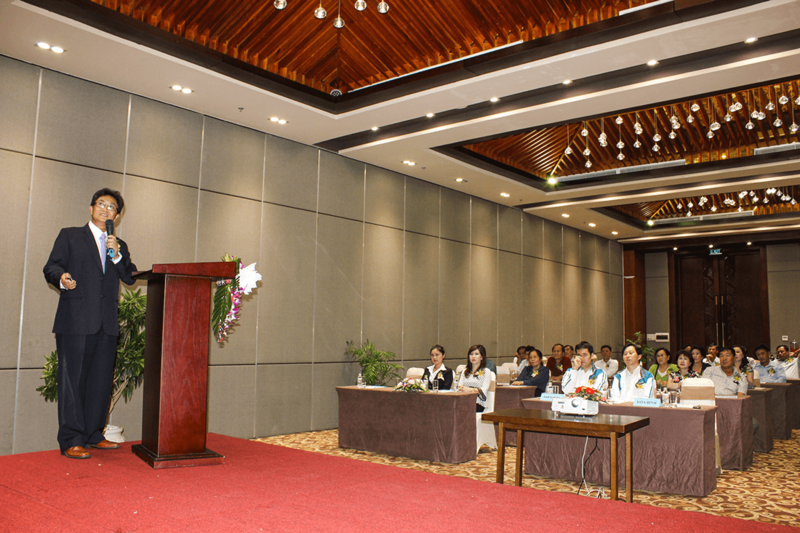 Ms. Nguyen Thi An Uyen- Director, Sales and Marketing at HBC presented the 2014 business result and the HBC 2015 plan and new sales policies. 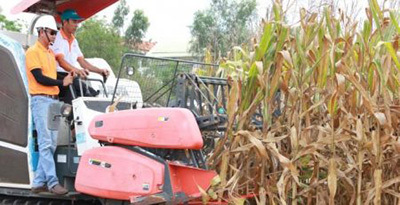 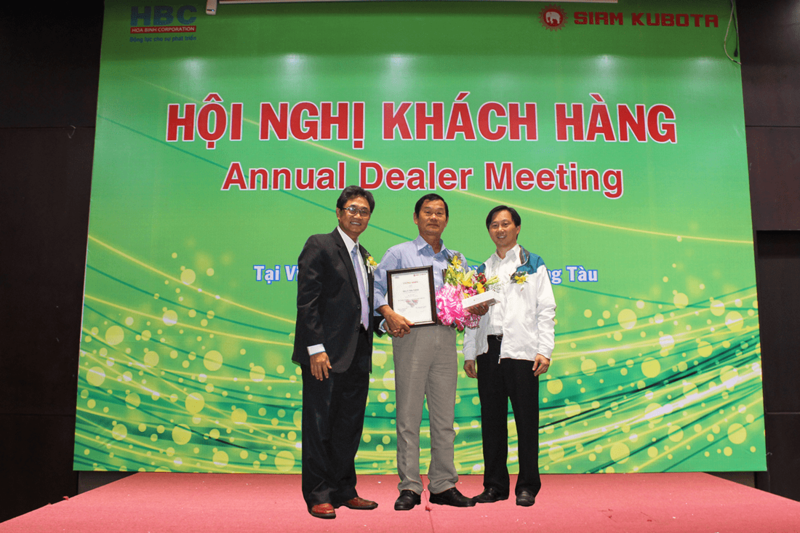 The customer conference recorded Tien Thanh Dealer from Tien Giang as the number 1 dealer for sale of Kubota RT in 2014. 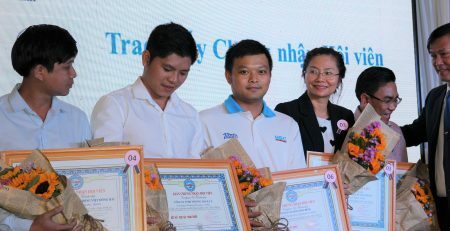 Representatives from HBC and SKC congratulated Tienthanh for their achievement. 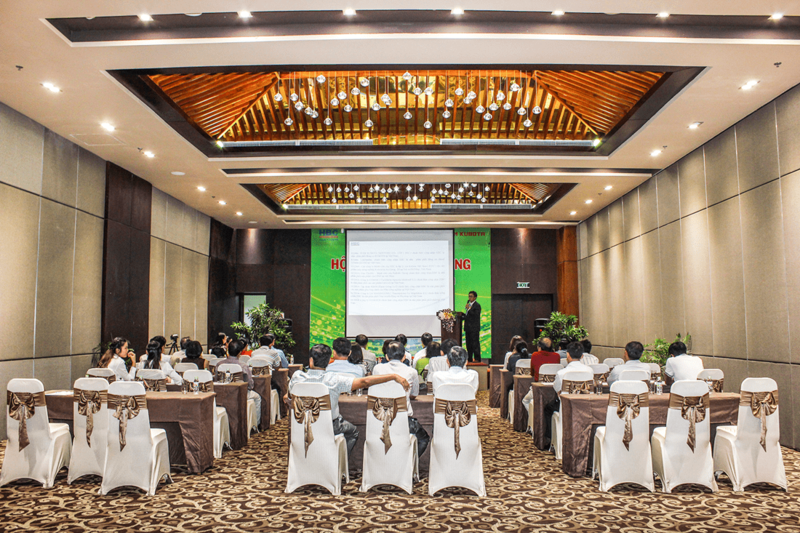 An on-site sale promotion took place during the conference when all 16 dealers placed orders for a total of 257 Kobuta RT engines. 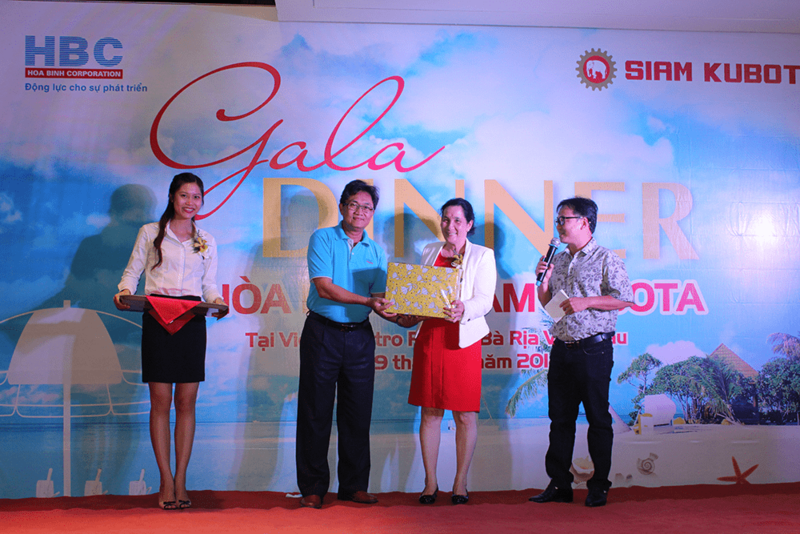 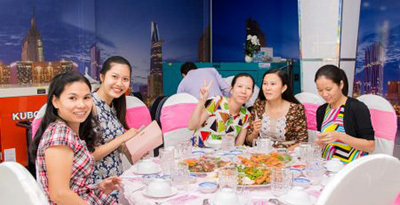 A business dinner followed with cheerful toasts and presents for all participating dealers. 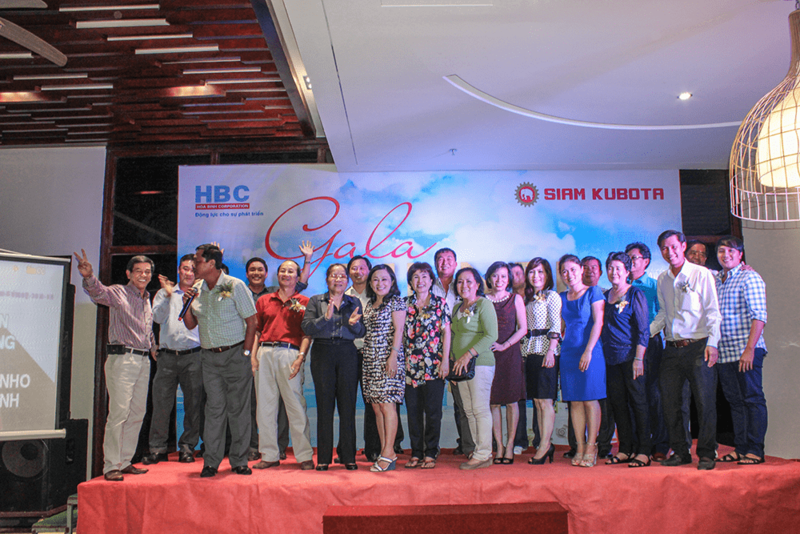 The management from both HBC and SKC expressed great appreciation to the dealers for their cooperation and contribution to the development of Kobuta in Vietnam.